When you can nail an outfit with one key piece, what’s not to love about the jumpsuit? From the runway to the streets, Fashion Month was awash with a style rainbow of all-in-ones. What’s more, the jumpsuit is a wardrobe classic that you can pull off day or night, and dress up or down. Start writing your shopping list as we round up the best jumpsuit micro trends to be seen in now. Unexpected colour combinations show off a bold and directional take. We love futuristic neon with raw denim, or acid tones next to fierce animal print. To style it up, pair your jumpsuit with a trending bumbag or bright statement heels. It’s a given you’ll get style-mileage in florals. Team jumpsuits with feminine accents like the top-handle bag or classic pearls. Contrasting them with a menswear-inspired blazer balances the ensemble. Whether it’s eye-catching white-on-white or head-to-toe beige, tonal looks win the versatility challenge – and look great on every skin tone. Elevate your look for the new season with a wide waist-belt or designer sunnies. Then, play with texture (think crisp cotton against smooth leather) to give minimal, light shades maximum stand out. When function and aesthetics combine into a fresh trend, you know it’s going to take off. Keep things uniform with one of fashion’s best transitional themes. 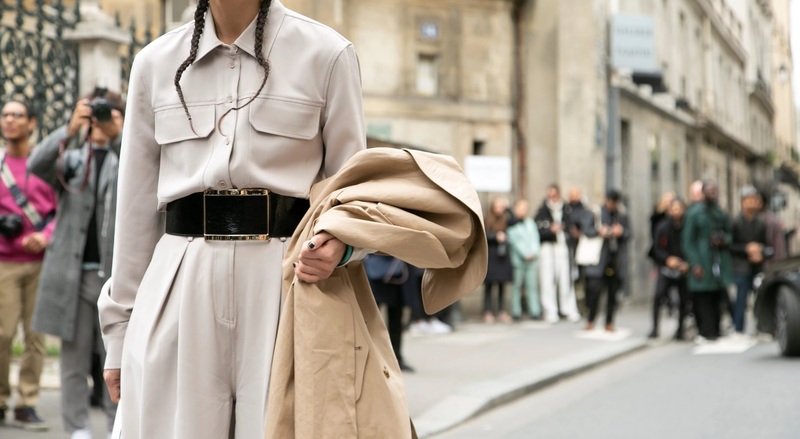 Case in point: pocket-laden boilersuits are having a moment right now; simply layer under a padded bomber jacket or a timeless parka coat to get the look.